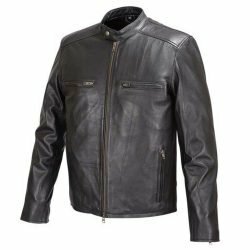 Winter Motorcycle Jackets and Summer Motor Jackets are well known concepts for the riders. 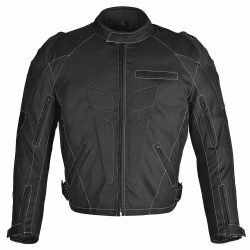 What are Four Season Motorcycle Jackets? A Four Season Motorcycle Jacket is meant to provide you same awesome riding experience year-round, irrespective of the season and outside conditions. At WICKED STOCK our designers have intelligently combined features from Winter Motorcycle Jackets, Summer Motor Jackets, Mesh Motorcycle Jackets and Hi-Viz Motorcycle Jackets to create a unique breed of Four Season Motorcycle Jackets. All our Four Season Motorcycle jackets have multiple liners. A fully removable thermal liner can be used for chilly conditions but can be removed for warmer rides. Every Four Season Motorcycle Jacket comes with a removable full sleeve waterproof liner that can be used to keep you dry during wet weather. With both these thermal and waterproof liners you are covered during the wettest and the coldest of the rides. Our generous US sizing allows layering underneath the jackets if needed. 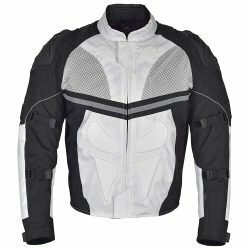 Most of these Four Season Motorcycle Jackets come with enough reflective paneling to ensure your safety during night and inclement weather riding conditions. Now let’s turn towards those features of Four Season Motorcycle Jackets that make these equally useful during summer. Extensive front and back venting on these Jackets prevent heat from building up inside the jacket and as a result keep you cool and comfortable in the dead of summer. 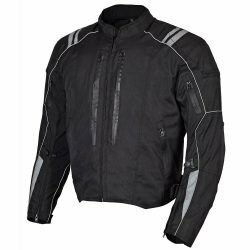 Many of these Four Season Motorcycle Jackets have generous mesh panels that allow tons of air flow and keep you comfortable in the warmest and the most humid riding conditions. 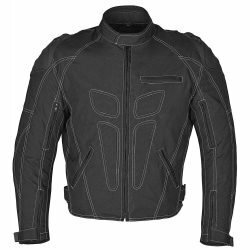 As with all other WICKED STOCK Jackets, the Four Season Motorcycle Jackets come pre-installed with 5 pieces of CE rated Shoulder, elbow and back armor. All armor is EN-1621-1 CE compliant. 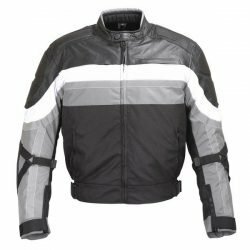 If you are in market for a Men Motorcycle Jacket you want to be your year-round companion, look no further than wickedstock.com. Getting overwhelmed with our huge catalog and feature rich Four Season Motorcycle Jackets? No problem. Give us a call or text @410-585-5467 or just start online chat with one of our gear geeks.